Binghamton, New York is home to the Bundy Museum of History and Art and as of November 2017 the Bundy Museum is home to WBDY. I had a chance to talk with Jeff Stachyra, Andrew Pragacz, and Brian Pragacz. Talking with them gave insight to their mission as a non-commercial community radio station. Their mission being, “to showcase the unique cultural, artistic, and intellectual life of our vibrant community”. We will explore how the Bundy Museum of History and Art came to have a radio station, how the station is working with its community, and where WBDY is headed. Let’s first look at the Bundy Museum. In 1889 two brothers went into business together and opened a clock and time recording company in Binghamton, NY. Years went by; through time the company eventually was named International Business Machines or IBM. The historical home where the Bundy Museum is located permanently displays their collection of time recorders and clocks as well as a detailed timeline that illustrates the growth of the company till the birth of IBM. The Bundy Museum’s goals are mentioned on their website are to “preserve the legacy of Willard & Harlow E. Bundy, revive the beauty and elegance of the Victorian era, and to educate and inspire the public on the fine arts.” In addition to their display of clocks and time recorders the Bundy has another permanent display that showcases the great broadcasters from New York’s Southern Tier. This exhibit features a hall of fame to honor area broadcasters for their contributions to the medium. Jeff Stachyra multimedia artist, volunteer, and president of the board at the Bundy Museum, says that it all started with a suggestion to have an interactive voice for the museum. Jeff had been a DJ in college and had remained interested in radio all his life. This idea of an interactive voice was kicked around until Jeff heard of the LPFM licensing window being opened about 3 years ago. He saw this opportunity and wanted to jump on it. The Bundy Museum board agreed and they took it on as another project for the organization. 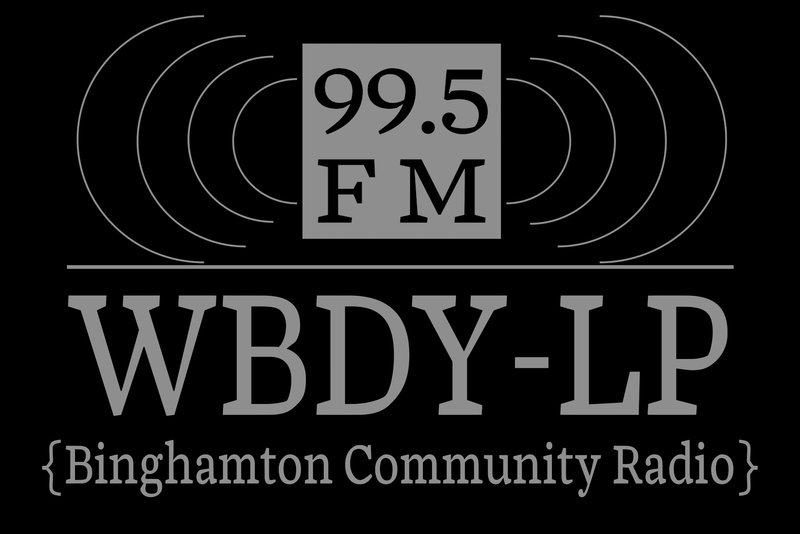 Thus WBDY Binghamton Community Radio was born. Jeff lead the way through the 3 year journey of getting WBDY off the ground. The journey was long but Jeff said, “By engaging the community, the local emergency services and city contacts we were able to turn the dial up.” They got on air in November of 2017, according to Andrew Pragacz, Program Director they’re the second museum to operate a radio station in the country. The next step was getting appropriate programming for the area and getting scheduling worked out. Andrew relates, “for a day we just played Chopin with ID’s because that’s what we had”. About a week after going on air they had affiliated with Pacifica and within 2 weeks they had scheduled out programming daily from 7AM-9PM. Jeff has a recording studio just outside of town that he has been recording local, regional, and national artists at for years. Because of his backlog of recordings Bundy Radio has hours of local music at their disposal. Jeff says there’s a “Very tight local musical thread that is wrapped around that station.” Because of supporters they have and underwriters they work with they have incredible support for the music scene. Jeff says their focus is on community coverage of events and activities, historical content, and local music. A truly moving story that was shared concerned the shooting that happened in 2009 in Binghamton, New York, at the American Civic Association. In the last year, the Bundy Museum began working closely with the ACA creating a collaborative exhibit of the ACA’s early history. When the ACA honored the victims nine years after the tragedy, WBDY rebroadcast the memorial as a service to the community. WBDY is also recording LGBTQA events in their area to rebroadcast. A local group called Hungry Ears does dramatic readings of short stories, after recording their readings the group sends them to the station for rebroadcasting. WBDY also has started a 5 month series with a local group called Chrysalis, which is a monthly amateur, competitive storytellers event. 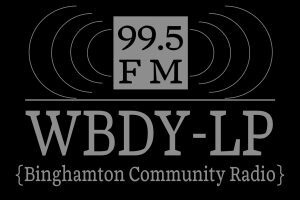 Even though WBDY has been on air since November there has not been a public announcement for their station yet. Brian says that since November they have been at a BETA testing level. They now feel they have relevant content for the community. This month they are going to be holding a press conference where members who have supported WBDY will be invited, along with other representatives in the community. At this press conference they hope to invite the community to come see what the platform for community radio is like. They will be invited to volunteer as program producers, they can use the station to announce events that are up and coming, and even record their events and have them broadcasted on air. When asked what each of them were most excited about, they all resonated how exciting it will be to see how the community picks up their station and really utilizes it. They want to see how tailoring their station to underserved audiences will affect their community. They all want to see this project empower their community.